Less noise, more thrust! 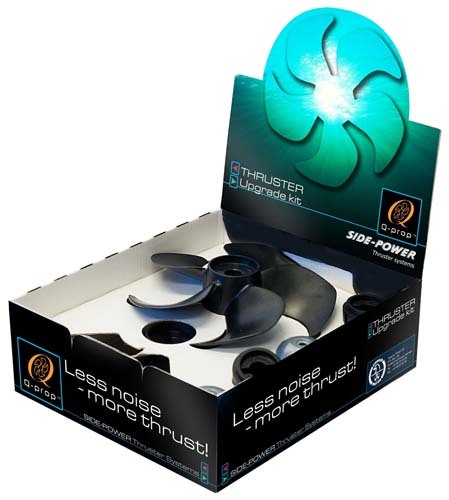 Complete kit to upgrade your Side-Power 55S thruster from a 4-blade prop to the newer, quieter and more efficient 5-blade Q-prop. Can be adapted to all 55S models produced after 1998.